I spent 3 hrs eating and driving to these places, but I did not get to visit them all. 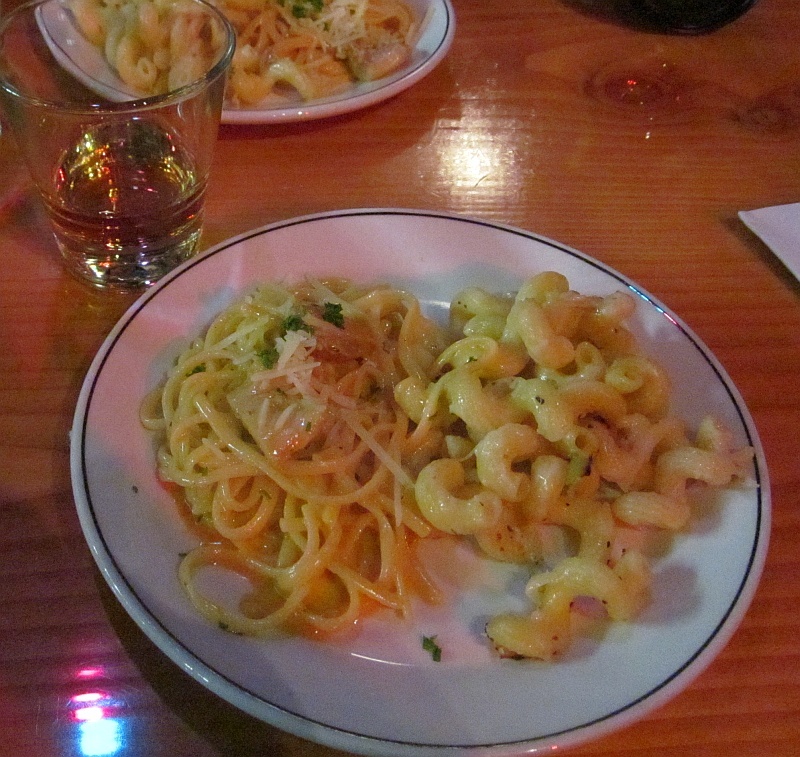 Sorry to Mac Shack, Yaletown l’Antipasto, and Urban Thai Bistro. I did see good tweets about your restaurants. Of the restaurants I did visit, my Ultimate Favourite was Chau Veggie Express! They offered 2 dishes for us to sample: Soft Tropical Rainstorm, and Sliding down the Sanddunes. Nice names; sounds like names of songs from Zamfir, but the food was really tasty. The Soft Tropical Rainstorm was a warm noodle dish with a coconut cream sauce, shredded veggies, and crispy shallots. I did like the creaminess of this dish along with the bright herb flavours and the crunch of the shallots. Equally good was the Sliding Down the Sanddunes, a Tom Yum type soup. Lemongrass & ginger, peanut spiced broth, assorted tofus, lotus root slices and greens. The lemon grass made the broth and I did like to crunch into the lotus root. I will be back to Chau Veggie Express. Bob Likes Thai Food’s Kanom Jeen (Noodles with a fish curry sauce). I had never had, or heard of, this Thai rice noodle dish before. It is a combination of noodles, fish curry (finely ground), vegetables and spices. I found a recipe online. There were so many different flavours and textures in this dish. It was really quite amazing. Fets Bar & Grill’s Cajun Cream Chicken on Linguini. This is quite a spicy dish. The cream sauce is quite light so you won’t feel like napping after eating it. The spice doesn’t burn your mouth, like a Thai dish would. The spice is black/white pepper at the back of your throat. Grab a beer at the Bar to wash it down. 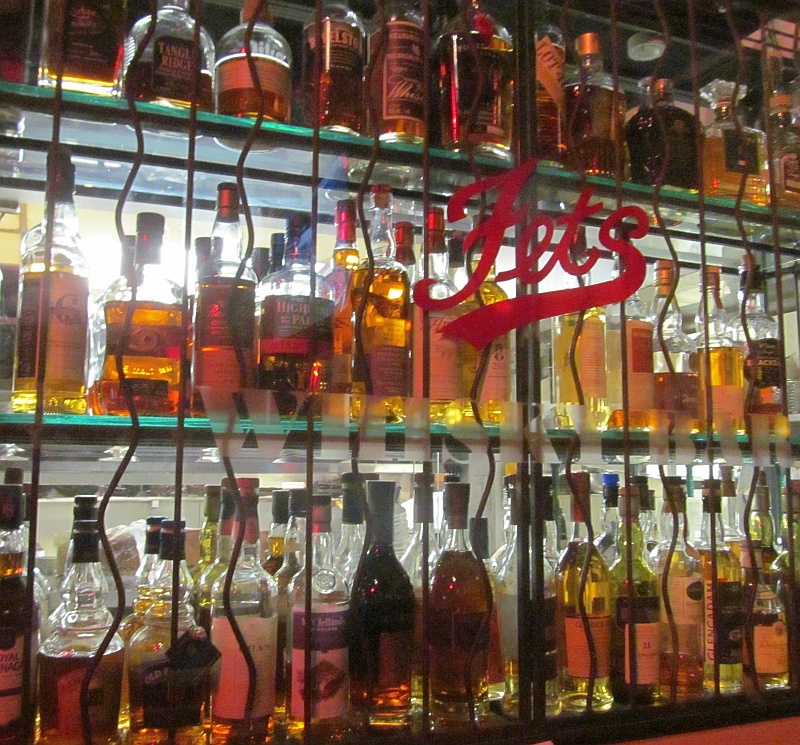 They also have a wide selection of whisky. Mine was one aged in a Brandy cask. 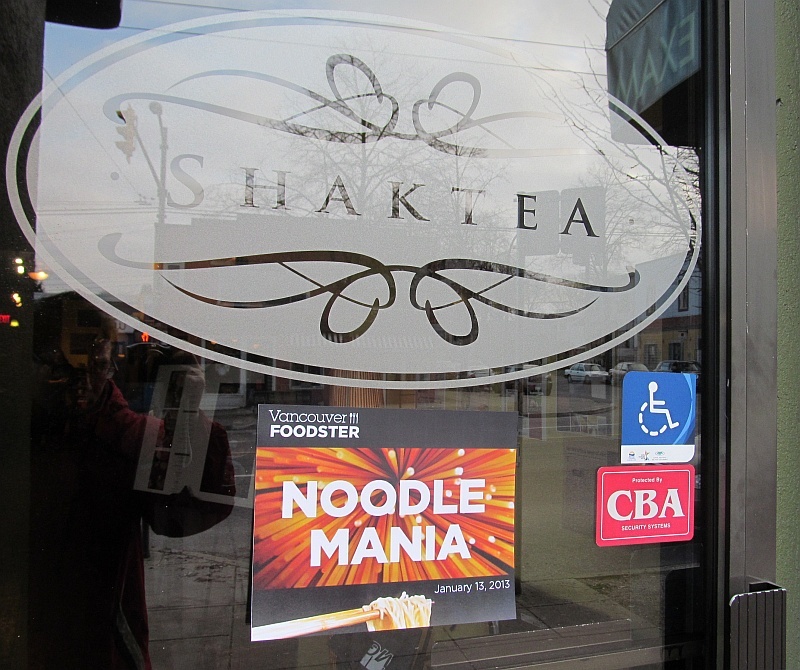 Shaktea on Main Street was the starting point for this event. Even though they did not have a noodle dish, we were offered to sample from 3 different teas. I tried the cinnamon roobios tea. I enjoyed it. It had a long finish with cinnamon and vanilla. 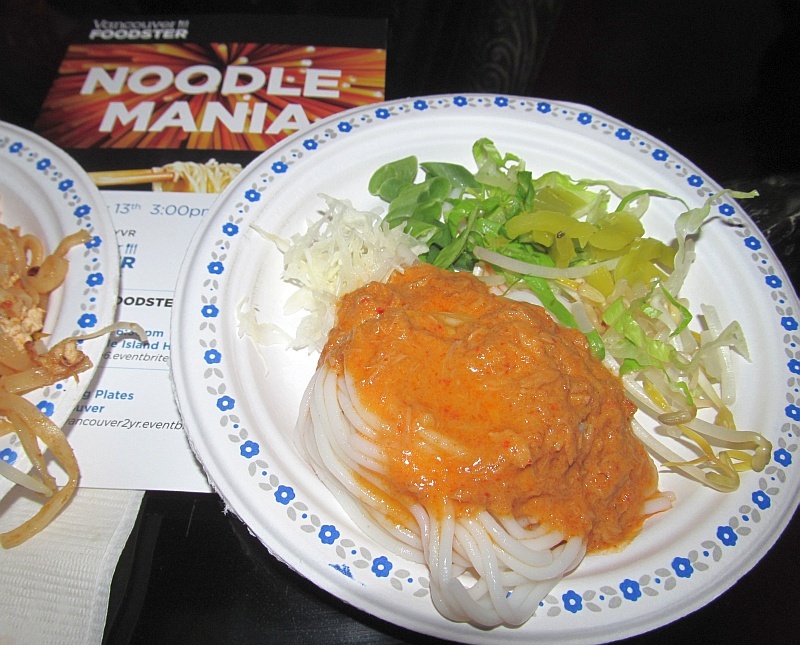 Thanks again to @vanfoodster for hosting this event, and all the other events for the foodie community. 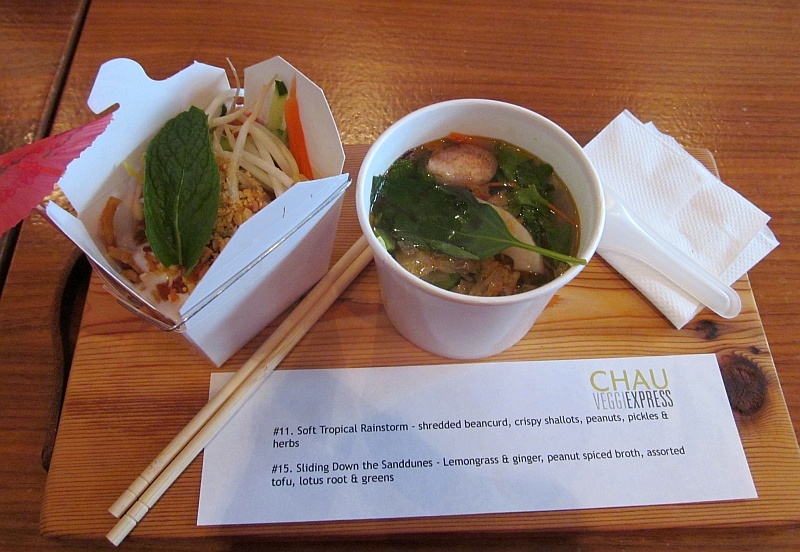 This entry was posted in BC, food pairing, Vancouver and tagged Bob Likes Thai Food, Chau Veggiexpress, cinnamon, Fets Bar & Grill, Hai Phong, Mac Shack, Mania, noodle, Novo, pizzeria, roobios, ShakTea, Soho Tea Room, tea, Urban Thai Bistro, vancouver, vanfoodster, Vietnamese, Yaletown l'Antipasto. Bookmark the permalink.